DeCoach Rehabilitation Centre was founded to combat the greatest health crisis the Greater Cincinnati and Dayton areas have ever witnessed. This vision was first realized by the opening of our Fairfield, OH office in 2016, followed by our Xenia, OH office in 2017. We strive to provide a holistic approach to treatment acknowledging the unique biological, sociological, and psychological factors of each individual. We utilize evidence-based approaches to treatment in order to attain superior outcomes. Each individual is met at their own unique stage of recovery and supplied with the tools to reach sobriety. All patients and family members should be treated with respect. Families play a critical role in providing successful treatment. It is our responsibility to provide quality services that produce positive outcomes. 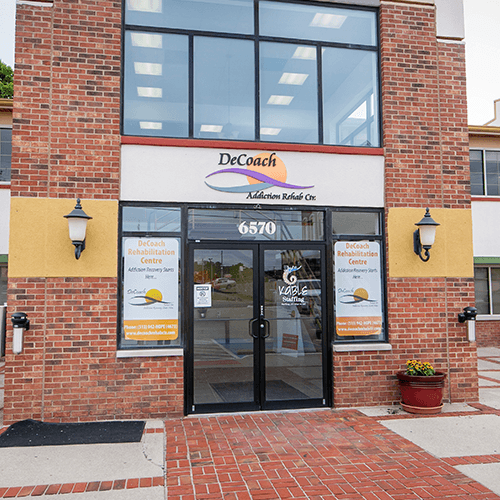 DeCoach Rehabilitation Centre strives to become the premier treatment facility in the Greater Cincinnati area for Opiate and Alcohol Addiction. We utilize best practices in Medication-Assisted Treatment and counseling to produce positive outcomes for our patients and families. We look to become the leader in the industry with providing solutions to this growing epidemic and assist with impacting the lives of those who struggle with addiction. DeCoach Rehabilitation Centre’s mission is to provide quality, affordable, safe treatment for those battling addiction. Professional and accredited services include Medication Assisted Treatment along with one-on-one counseling to reach positive outcomes. Treatment is provided in a private, calm environment where each client is treated with the utmost dignity and respect.